Your Wild City – What’ve You Been Doing All Winter? What’ve You Been Doing All Winter? Aaaaand, we’re back! Maris has returned from Antarctica and Rosemary has finished her cookies. 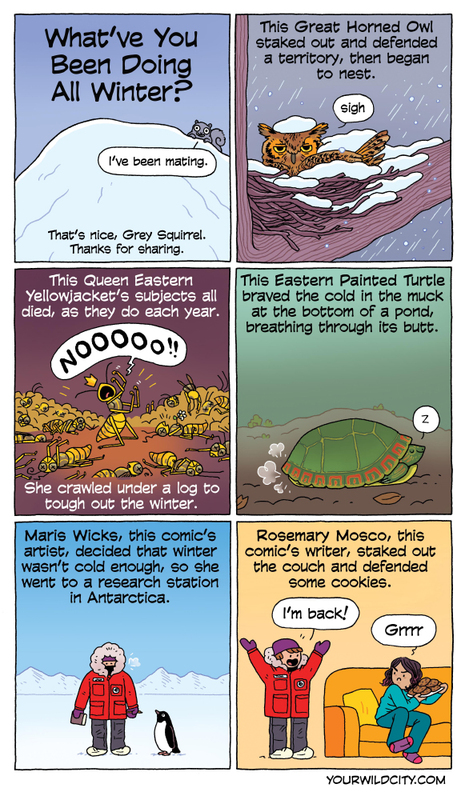 Here’s a collection of creatures who tough out the cold months.